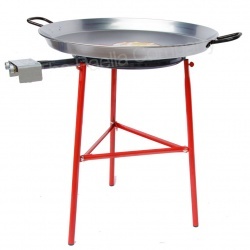 Our range of outdoor Garden Paella Cooking Sets suit all sizes of families & budgets. 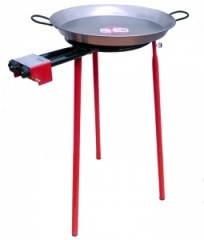 They are all great fun, simple and versatile. 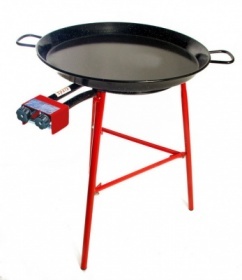 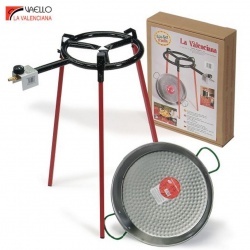 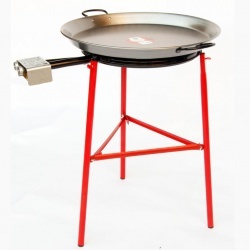 Each set consists of a paella pan, paella gas burner, tripod stand and gas hose. 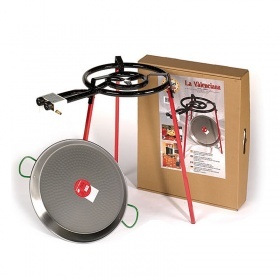 All you need is the appropriate gas regulator to connect to a Propane or Butane gas bottle. 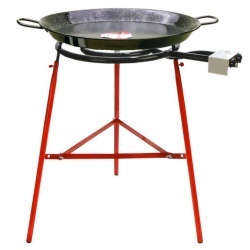 We also have a range of accessories to complement your set as well of course all the genuine paella cooking ingredients needed.